New York, NY -- Nov. 08, 2007 -- The award-winning documentary “How Do I Look” will be screened at the African Diaspora Film Festival (ADFF) in New York City on December 1, 2007 on World AIDS Day at the Riverside Theatre in Harlem. The screening will be followed by Q&A with director Wolfgang Busch and assistant directors Kevin Omni and Luna Khan. “How Do I Look” is about the Harlem “Ball” community that originated in the 1970s in Harlem, an off-shoot of the Legendary Harlem “Drag Balls” from the 1920s. This African American and Hispanic Lesbian, Gay, Bisexual and Transgender community is best known for its worldwide influences in dance, fashion, runway, and music -- inspiring Madonna with her best selling music video “Vogue,” fashion designer Thierry Mugler and Marc Jacobs, the music of RuPaul and #1 Billboard dance performer extraordinaire Kevin Aviance with producer GOMI. This trendsetting artistic community is unfortunately also hit hardest by the AIDS epidemic. 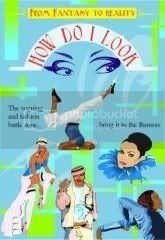 Since the beginning of the production of the “How Do I Look” documentary in 1995, nine members from the “Ball” community have passed away: Willi Nijna, Angie Infiniti, Eric Christian Bazaar, Marcel Christian, Gerald Dupree Labeija, Mystery Royale, Kenny Ebony, Pepper LaBeija, and Billy Pemperton – seven of whom have died from AIDS. To this date, many members are struggling every day with the HIV virus. For that reason, much of this community’s history and legacy is lost forever. This ground-breaking, inspiring, educational and entertaining documentary, now available on DVD, talks about the history of the dance “Vogue” by Willi Ninja, Jose Xtravaganza, and Andre Mizrahi; it sends HIV hope messages by Luna Khan; “Bazaar” fashion designs by Ross Infiniti; runway by Ricky Revlon; transgender issues by Tracy Africa, Carmen Xtravaganza, and Octavia St. Laurent; and the “Ball” history by Marcel Christian and Kevin Omni. “How Do I Look” also features special appearances by columnist Michael Musto, stylist and fashion designer Patricia Field, and Kevin Aviance. On World AIDS Day (Dec. 1), “How Do I Look” will be screened at 8 pm at the Riverside Theatre, 91 Claremont Ave. @ 120th Street, (212) 870-6784. SUBWAY INFORMATION: Take the 1 train to 116th Street. Tickets are $10. “How Do I Look” is released and distributed independently by Art From The Heart LLC, and we are proud to represent LGBT content at the up-coming prestigious African Diaspora Film Festival in Harlem. “How Do I Look” is currently screened in film festivals across the United States and internationally, and the “How Do I Look” DVD is available on our website, www.HowDoILooknyc.org, on Amazon.com, and through selected retail stores: at Kim’s Video in New York City, at Giovanni’s in Philadelphia, and at A Different Light book store in Los Angeles.